Kevin Bacon has admitted that he finds fame very "bizarre" and 'weird' and that although he's had tough times in his career he's grown used to it. 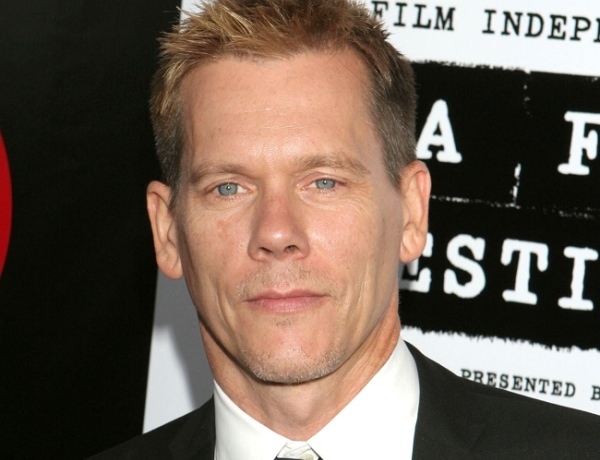 Kevin Bacon thinks fame is "bizarre". The Following actor admits his life can be "weird", but after being in the spotlight for over 30 years, he has adjusted and grown accustomed to living in the public eye. "Then you kind of get used to it and think: 'This is what my life is." However, the 55-year-old actor - who has 21-year-old daughter Sosie with wife Kyra Sedgwick - did admit that he would like to be able to disappear sometimes. He told the Metro newspaper: "If I had superpowers, invisibility would be a totally cool thing. The idea of going through the world invisibly would be so fascinating to me." Though Kevin's career hasn't always gone the way he wanted - including a slump after his 1984 hit movie Footloose - he insists any mistakes he has made have been his own fault. He said: "I think that part of being a man is taking responsibility for your successes and your failures. "So when it has come to the times in my life when things haven't gone as well as I would have wanted them to - for example, after 'Footloose' - that was nobody else's fault but mine. "I just never considered stopping. I never thought: 'Well I'm going to give myself a couple of years,' or whatever."